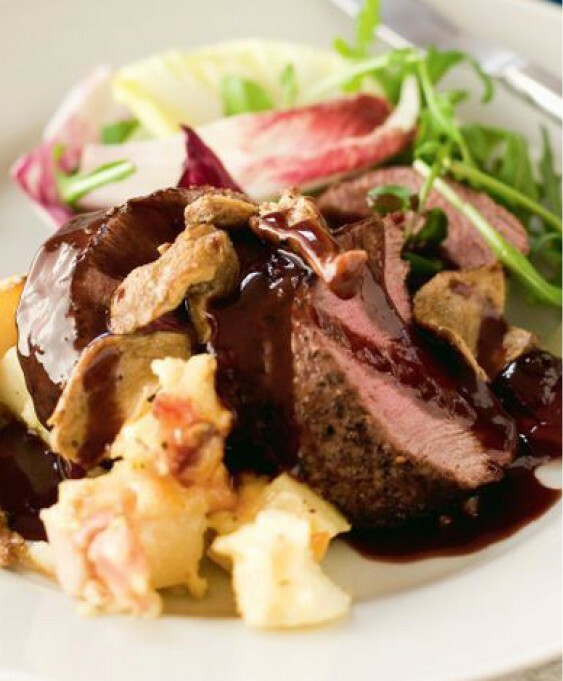 VENISON IS A LEAN TENDER MEAT WITH A SUBTLE BUT GAMEY FLAVOUR. Ideal for pan frying, BBQ or Roasting. Also suitable for stir-fry’s. 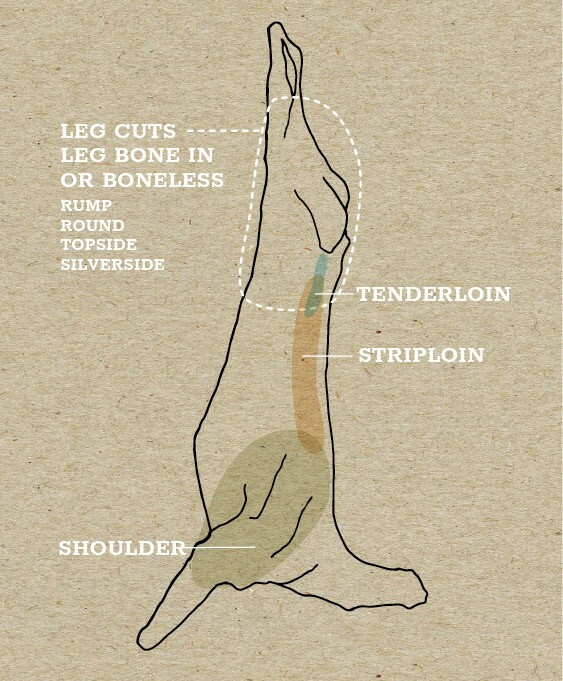 Suitable for roasting whole, the leg can also be broken down to the primal cuts that can be cut across the grain into steaks and cooked the same as the loin. It can also be diced and used in slow cooked wet dishes.  Best cooked to medium rare. Can be seared and roasted whole or sliced across the grain into steaks or stir fry strips. Cooking method is the same as for the loin. Ideal for pan frying, pasta sauces and rissoles. temperature of 57°C/135°F if you’re using a meat thermometer. oil, before searing for one minute each side per cm thickness and then cook to rare. Take of the heat and rest for 5-10 minutes under foil or in a warm oven. Cooking any more than medium rare will tend to dry out the cut due to its low fat content. Best cooked whole and then sliced. When roasting larger cuts, first sear all sides of the meat to seal in the juices. The roasts should be seared before cooking and then roast at a moderate temperature 15 minutes per 500gm @ 180C then rested for 20-30 minutes after cooking.